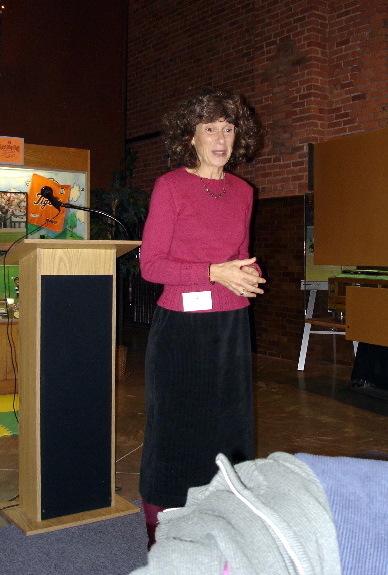 Merna Ann Hecht will be visiting WITS-Houston and starring in the annual writer orientation August 21-24, 2008. A storyteller, poet, and educator, Merna’s personal mission is to support young people in holding to a vision of a more humane and peaceful world. She has built her life work around the vital role of story and spoken word in many cultures. Her years of involvement with the Seattle Writers in the Schools program have provided her with a wide range of teaching experiences. She has led writing workshops at the Fred Hutchinson Cancer Research Center School, BRIDGES: A Center for Grieving Children, detention centers and facilities for homeless youth. She is a recipient of the National Storytelling Network 2008 Brimstone Award for Applied Storytelling.